I’m getting behind on posting my INB pages! When I taught Quadrilaterals, I tried to include lots of extra practice pages. 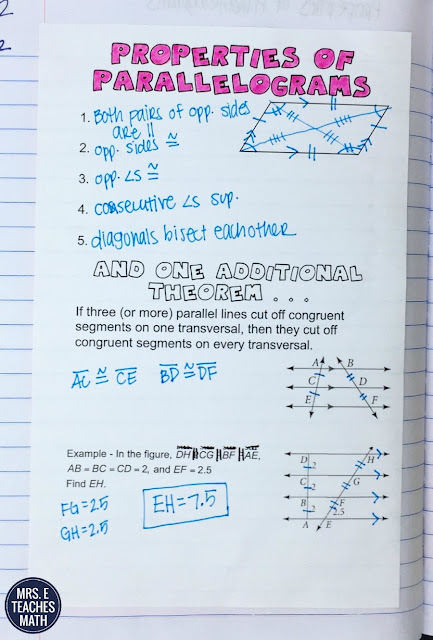 I’ve been including more practice pages this semester. 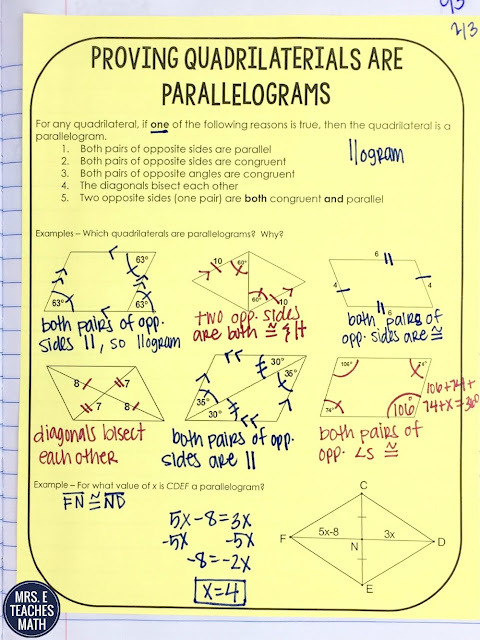 This page was a review of the properties of parallelograms. I also included the theorem with multiple parallel lines. Next, came the lesson about proving quadrilaterals are parallelograms. I was very surprised about how quickly my students caught on during this lesson. Then, I taught about rhombuses, rectangles, and squares. I used this foldable and practice sheet. 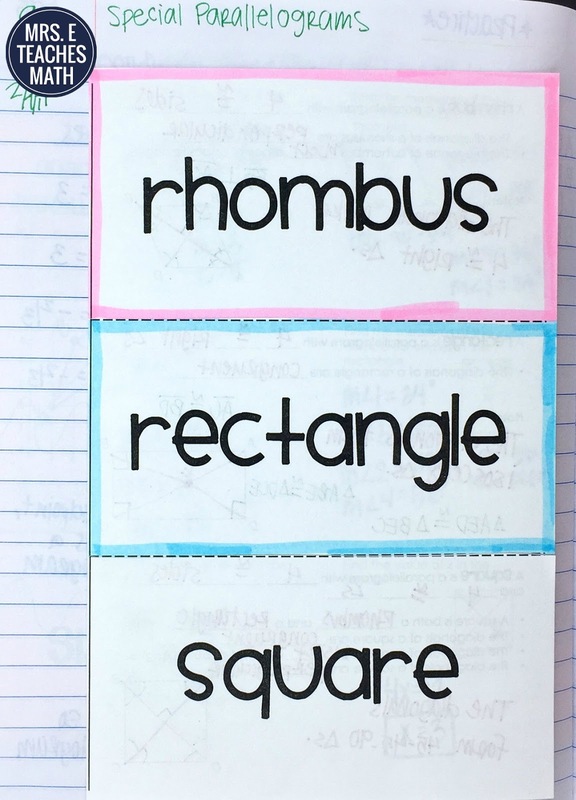 Inside each flap there is the definition, the properties, and two examples. I included always, sometimes, never statements on the practice sheet. 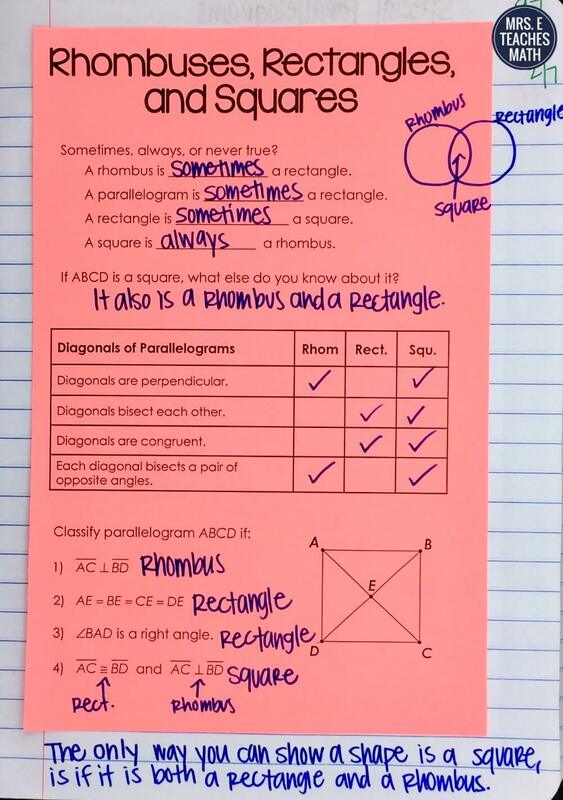 I don’t require my on-level students to do this type of questions on their own, but we do talk about them together. When I taught honors, I had several of these on their test. You can read about the rest of this unit here!